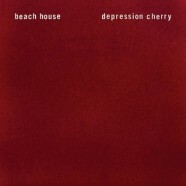 Baltimore dream pop duo Beach House return after a three year absence with their fifth album Depression Cherry. Wrapped in a gorgeously tactile red velvet sleeve, Depression Cherry sees the band at something of a crossroads. Progress to date has been marked by increasing record sales, a growing live fan base and universal critical acclaim, but there was a sense that fourth album Bloom should have represented a turning point. With Bloom, you got the feeling that they had taken the trademark Beach House sound as far as they possibly could; that somewhere between Teen Dream (2010) and Bloom (2012) the band had reached their creative zenith while drawing from the same palette of colours that had served them so well since their debut album in 2006. The early signs on Depression Cherry are promising; on opening track ‘Levitation’, Victoria LeGrand sings “There’s a place I want to take you, where the unknown will surround you..”, the promise of a band striking out for a brave new world. ‘Sparks’ with its looped vocal intro, crunchy guitar riff and melody straight out of the My Bloody Valentine songbook offers further hope that Beach House are ready to explore new terrain. But by track three, the undeniably lovely ‘Space Song’ we are back on familiar ground. Victoria LeGrand’s commanding vocals are pushed to the forefront, backed by the trademark dreamy stew of vintage organ sounds, languid slide guitar and analogue drum machines; as lovely as it is, we have been here before. ‘Beyond Love’ is a similarly regressive step and as the album winds its way towards closing track ‘Days of Candy’ the realisation sinks in that Depression Cherry represents a band not ready to leave their comfort zone just yet. There is no denying that Beach House make beautiful music; there is ample evidence on Depression Cherry to support this. But while they continue to shy away from experimenting with their sound, from pushing themselves in new directions, they are passing up the opportunity of going from being a great band to something truly special. I couldn’t agree more. It’s beautiful music, but it’s too safe. Great bands take great risks, and the lack of risk-taking by Beach House is preventing them from being a truly great band. I still think Bloom is their best release, for that reason. It took their sound and made it bigger, more epic, and more beautiful. It tugged on the heartstrings in a way this album doesn’t. I was really hoping they were going to do a 180 and go all electronic, a la Radiohead’s Kid A or Low’s Drums & Guns, but alas, they chose the safer path of same-old same-old. Maybe next time, eh?